Jasper has finally reached the size where he is really too big for long periods of time in the backpack carrier. As result, we need to once again reassess how we will be able to continue hiking together as a family without wrecking anyone's back and making certain all parties are able to enjoy the experience. The easy option would be to leave Jasper at home, but I am a firm believer in the importance of us spending as much time together in these formative years. For now shortening our mileage is pretty much the only way we know how to still include Jasper and have an enjoyable day together. 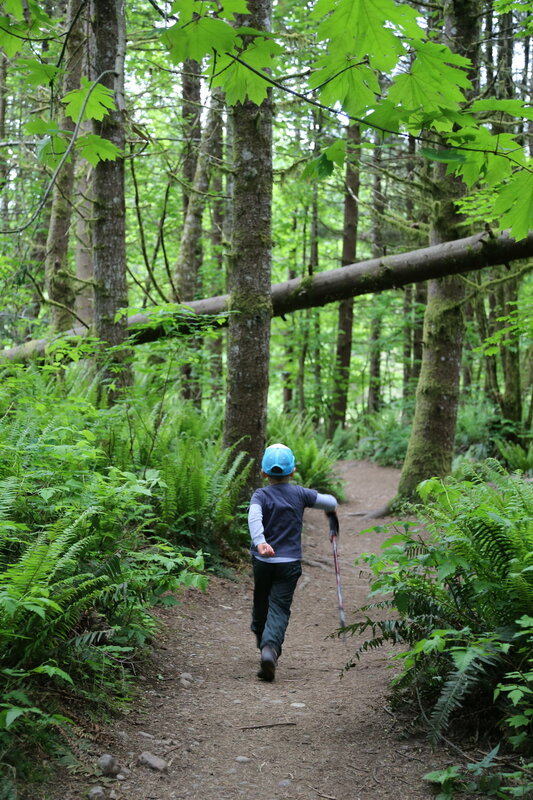 A current favorite hike of ours is Chirico Trail. With a little (okay, a lot) of extra effort I can carry him up to the lookout and then he can usually manage to hike down on his own. A couple weeks ago was the first time we have EVER gone hiking without the carrier and it feels like completely new territory. 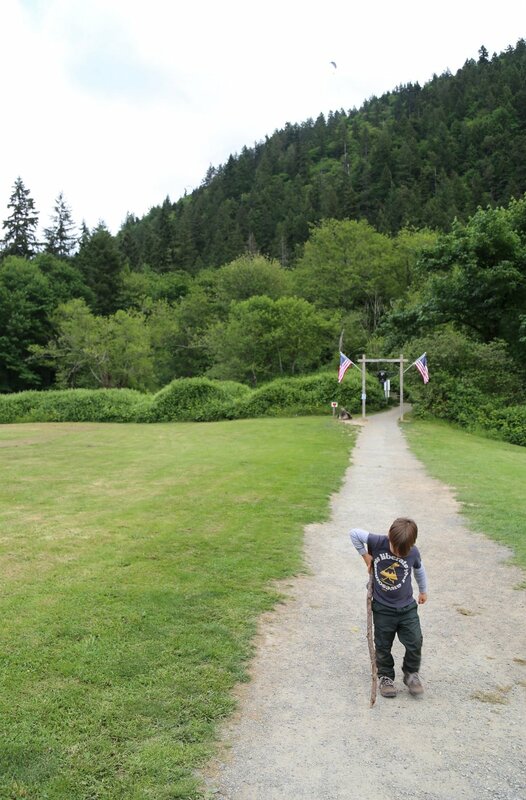 We are filled with a whole lot of hope and excitement for our future hikes this Summer. Overall, Jasper did pretty well on the trail, there were a few "hiking is boring" and "I am tired" but I wonder how much of this is how he feels VS. things he often hears from other children on the trail. Throughout the four mile hike he bounced between walking and being carried on Cameron's shoulders/back. Since the carrier has never really been my favorite thing I am excited to see how many miles Jasper can log this Summer. Chirico Trail is unique in that it is the only hike nearby I am aware of where there is an activity to watch once you reach the top. 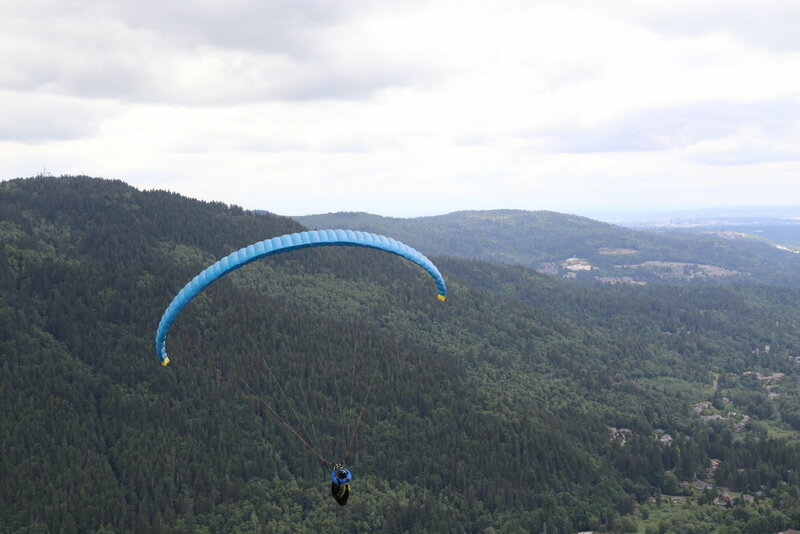 On our second trip, Jasper was shockingly offered a ride down the mountain with one of the paragliders. Needless to say, this did not happen. However, it is still awe inspiring to watch someone get a running start, jump off the side of a mountain and float through the air without seemingly a care in the world. Before we knew it, we had watch half a dozen people take before making our way back down the trail. Oh how I love these two!! Jasper is a clever one, he will always find a way to sit on someone's lap rather than the ground. I think three is kind of best! A little hard at times, but still the best so far. 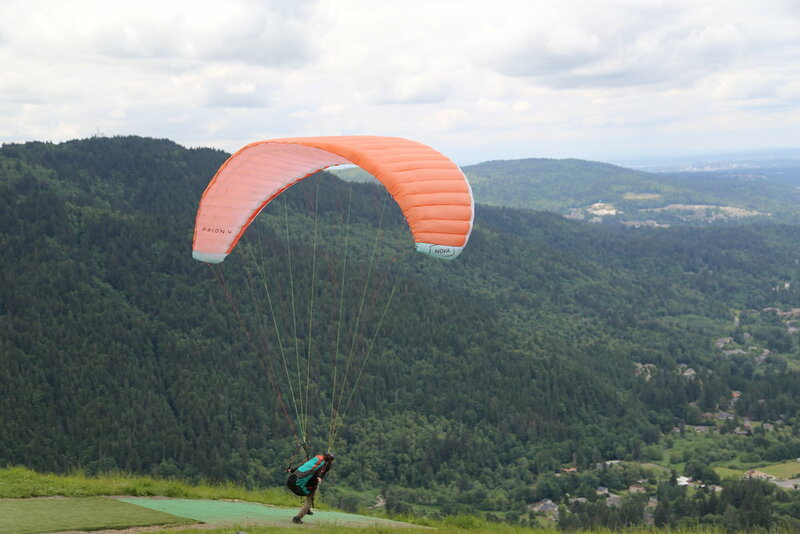 Aside from the excitement of the paragliders the trail is lush and interesting in its own right. And once you get back down to the start of the trail head you can enjoy the added bonus of watching them land. Directions: From I-90 in Issaquah take Exit 17 (Front Street) and head south on Front Street through the old part of town. At the south end of town, Front Street changes names to Issaquah Hobart Road.3.1 miles from I-90, turn into the large graveled parking area on the left adjacent to the paraglider landing field.